WACO, Texas — With most of the country experiencing record-low temperatures due in part to the polar vortex, homeowners are increasingly relying on their furnaces to keep them warm. This may seem harmless, as most are worried about getting frostbite from the powerful wind chill, but heaters can be just as lethal, releasing carbon monoxide (CO) if there is a leak. This poisoning effect can also apply to clothes dryers, water heaters, portable heaters and fireplaces, so Aire Serv is sharing tips to make sure homeowners know how to spot the signs and symptoms of carbon monoxide poisoning and how to prevent it. According to the Center for Disease Control and Prevention (CDC), nearly 50,000 residents in the U.S. visit the emergency room for potential carbon monoxide poisoning each year. This gas is referred to as the silent-killer because it’s odorless, colorless and nearly undetectable without a carbon monoxide detector. If exposed to low levels of carbon monoxide, homeowners will start to feel dizzy or display “flu-like” symptoms such as vomiting or chest pain. 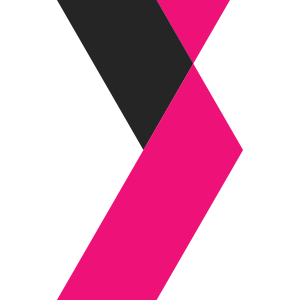 However, high levels of this gas can result in death, so it’s essential to recognize the symptoms early on. Properly venting large household appliances that rely on fuel for operation. Backing cars out of the garage before warming them up. Pay special attention to keyless cars, as many motorists have exited vehicles without turning off the engines, which has allowed carbon monoxide to fill up the garage and enter the home. Schedule routine professional inspection and maintenance of items like furnaces, water heaters and fireplaces. Aire Serv offers premium residential and commercial services for every type of heating and cooling system. Home services, which include heating and air conditioner repair, replacement and maintenance, are charged by the job and not by the hour. In addition, Aire Serv conveniently offers 24-hour emergency heating and air conditioning repair and service to its residential and commercial customers. For more information about Aire Serv and its HVAC services, please visit AireServ.com. Aire Serv®, a Neighborly company, is a global franchise organization providing installation, maintenance and repair of heating, ventilation, air conditioning and indoor air quality systems. Recognized by Entrepreneur magazine among its “Franchise 500”, Aire Serv franchisees provide services to both residential and commercial customers from more than 200 locations worldwide. Established by Neighborly® in 1992, Aire Serv is part of a community of home service experts, leveraging Neighborly’s nearly 3,600 professional home service experts across 14 brands in the U.S. and Canada with a unique direct service function that provides consumers assistance with nearly all aspects of their home care needs. Neighborly brands include: Aire Serv®, Five Star Painting®, Glass Doctor®, Portland Glass®, Molly Maid®, Mr. Appliance®, Mr. Electric®, Mr. Handyman®, Mr. Rooter®, Protect Painters®, Rainbow International®, Window Genie®, Mosquito Joe® and The Grounds Guys®. Additional information about Neighborly can be found at www.GetNeighborly.com. 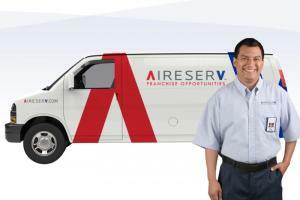 For more information about Aire Serv, visit www.aireserv.com and to learn about franchising opportunities with all Neighborly companies, visit www.leadingtheserviceindustry.com.